Gw menjadi salah satu Fans Karakter Vokal Travis Ryan selalu menantikan Setiap Debutan band Animal Liberation Progressive Death Metal/Grindcore asal California Cattle Decapitation tidak pernah gw lewatkan. Animal Supremacy menjadi salah satu bentuk Attitude seorang Travis Ryan menulis lirik-lirik yang membahas tentang Pembunuhan serta perlakukan Hewan oleh manusia secara kejam, dan Travis Ryan mencoba membuat Versi terbalik dari pemandangan ini sebagai bentuk " Balas Dendam ". masih dengan Formasi tangguh album sebelumnya, " Monolith of Inhumanity ", Cattle Decapitation selalu membawa Kejutan yang menyegarkan untuk " The Anthropocene Extinction ", selain disini juga melibatkan Musisi Tamu Legendaris dari Vocalis Krusial Phil Anselmo (Ex. Pantera) untuk ikutan Mengerang di track " The Prophets of Loss ", beberapa sentuhan Sampling serta Programming industrial/doom-driven direction dari Tristan Shone ditrack " Plagueborne " memberi Kesan makin " Unik " bagi musikal Cattle Decapitation dan Jürgen Bartsch-nya Bethlehem menyumbangkan Style Electronic Vokal di track " Pacific Grim ". salah satu Karakter Kuat Cattle Decapitation adalah gaya bermusik yang cepat dan Dinamis, yang pada track awal " Manufactured Extinct ", pada Opening Track-nya lebih terdengar Sound yang megah dengan balutan Keyboard, sehingga ga nyangka bila selanjutnya sajian Liar khas Cattle Decapitation nampak masih begitu membabi buta, cepat, gesit dan liar !!! play blazingly fast with maintaining a steady beat and melody throughout the brutality. Tentu kita juga masih hapal banget bagaimana Konsep Riffing chaotic Gitaris Josh Elmore yang memainkan Bar dengan Lick-lick yang kontroversial seperti yang biasa kita temukan di Beberapa Karakter Band Mathcore in the Vein The Dillinger Escape Plan yang kemudian dipadukan dengan Fast Chaotic Cryptopsy Riffing era " Whisper Supremacy ", dan Pukulan Drummer Hebat David McGraw tidak pernah mengecewakan untuk menjadi Partner hebat member lainnya, the human drum machine behind the kit keeping amazing ! Karena gw salah satu Fans Berat Vocalis Travis yang masih memukau dengan Gaya bernyanyi multi karakter sinting-nya, Forced Gender Reassignment and Projectile Ovulation showcase Travis gutturals very well and Amazed ! Serangan Hebat mematikan meledak gila pada Opening Track " The Prophets of Loss ", dengan Aransemen musikal yang sangat Kompleks, akan sangat menyita Konsentrasi banget untuk dapat menikmati indah Suguhannya, bagaimana tidak, Band ini punya konsep dinamis yang ingin melebur hampir semua karakter genre metal dengan Komposisi sangat cepat lagi ! It just adds to the twisted sense of humor, and is definitely a great addition to an already amazing song. Sentuhan Track yang Unik serta Menarik " Plagueborne " dengan sampling programming industrial/doom-driven direction dari Tristan Shone rupanya masih belum sanggup menghilangkan Warna Khas Gila Cattle Decapitation. Menggila terus lewat " Clandestine Ways (Krokodil Rot) ", Permainan drummer David McGraw seperti Orang yang Kesetanan banget, gila banget dah pokoknya ! insanely fast drumming and interesting guitar-work. Mendengarkan hampir semua materi disini memang akan sangat menguras Otak banget dengan segala Aransemen yang selalu menyimpang Big Surprize style dan tidak pernah kita duga sebelumnya memang. " Circo Inhumanitas " masih menghajar hebat sekali struktur-nya. seperti sedang terperangkap dalam Pergolakan Dimensi hebat dalam pertarungan Memori yang tidak menemukan Ending. However having many styles of riff does not instantly make a decent song, Band still manage to pull it off without it feeling disjointed. jadi bayangkan saja jika hampir selama 50 menit kita terus menerus disuguhi dengan Partisi musik seperti orang yang sedang kalap sekali dengan Obsesi serta Imajinasi-nya. dan kita cuman dibuat lega barang sebentar aja hanya dengan Beberapa Instrumen Track mencekam seperti " The Burden of Seven Billion " serta " Ave Exitium ". tentu ini adalah kesekian kalinya materi Mengagumkan Cattle Decapitation yang bisa kita nikmati, bahkan " The Anthropocene Extinction " adalah bentuk Kegilaan yang semakin Hebat untuk kita cerna Musikalitas diatas rata-rata-nya. Far too many technical bands use sweep picking as a crutch for a lack of creativity and thankfully Cattle Decapitation is not one of those bands. the musicianship is superb the songs are brutal, well-structured, and surprisingly melodic at times there are no filler tracks and, most importantly, the album is original !!! BUY OR DIE !!! I'm be one Fans Character Vocal Travis Ryan always look forward to each band Animal Liberation Debutant Progressive Death Metal / Grindcore from California Cattle Decapitation gw never miss. Animal Supremacy become one of Attitude of a Travis Ryan wrote lyrics that discuss Murder and Animals treated brutally by men, and Travis Ryan tried to make a reverse version of this scene as a form of "Revenge". 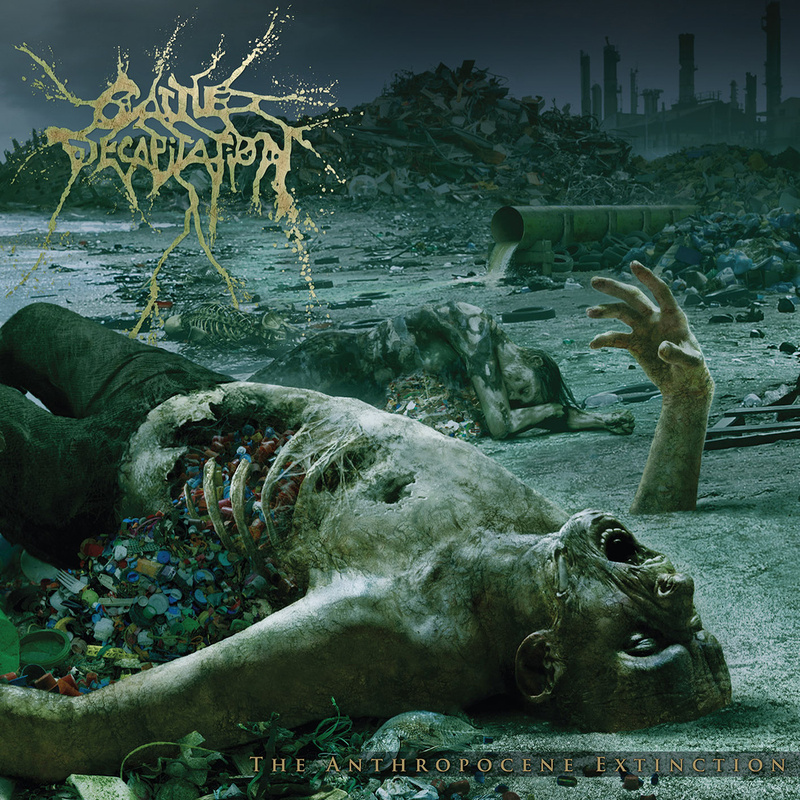 still with the formation formidable previous album, "Monolith of Inhumanity", Cattle Decapitation always bring surprise refreshing for "The Anthropocene Extinction", in addition here also involves the Musicians Guest Legend of Vocalis Crucial Phil Anselmo (Ex. Pantera) to follow Moan on track " The Prophets of Loss ", a few touches Sampling and Programming industrial / doom-driven direction of Tristan Shone ditrack" Plagueborne "gave the impression more and more" unique "for musical Cattle Decapitation and Jürgen Bartsch its Bethlehem donate Style Electronic vocals on the track" Pacific Grim " , one character Strong Cattle Decapitation is a musical style that is fast and Dynamic, which at the track early "Manufactured Extinct", at the Opening Track her more audible Sound magnificent with a bandage keyboard, so I Don't Think when the next dish Wild typical Cattle Decapitation seems still so blindly, fast, agile and wild !!! play blazingly fast with maintaining a steady beat and melody throughout the brutality. Of course we also still memorized really how the concept of dueling chaotic guitarist Josh Elmore who plays Bar by Lick-lick controversial as it is commonly found in Multiple Character Band MathCore in the vein of The Dillinger Escape Plan which is then combined with Fast Chaotic Cryptopsy riffing era "Whisper Supremacy ", and Punch Drummer Terrific David McGraw never let to be a great partner of other members, the human drum machine behind the kit keeping amazing! Because gw one weight vocalist Travis Fans are still mesmerized by the singing style multi her crazy character, Forced Gender Reassignment and projectile Ovulation showcase Travis gutturals very well and Amazed! 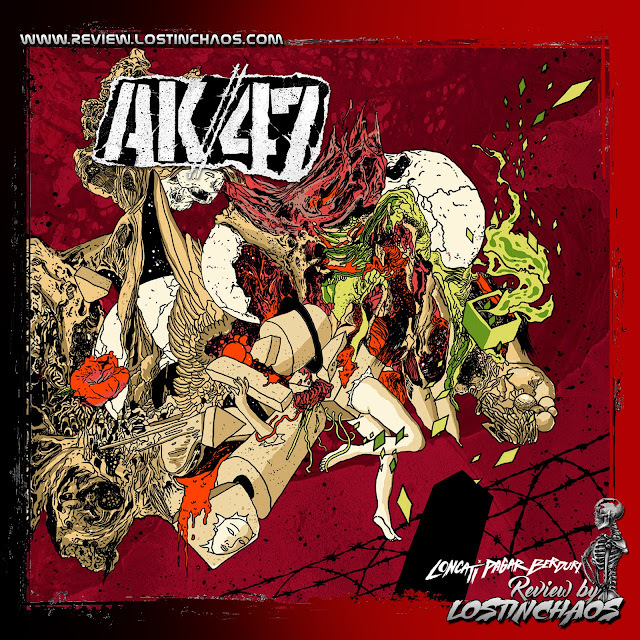 Attacks Terrific lethal burst mad at Opening track "The Prophets of Loss", with the Arrangement musical very complex, it will be confiscated concentration really to be able to enjoy the beautiful Announced, how not, the band had a dynamic concept that want to immerse themselves virtually all the characters metal genre with Composition very fast again! It just adds to the twisted sense of humor, and is definitely a great addition to an already amazing song. Track touch Unique and Interesting "Plagueborne" by sampling the programming of industrial / doom-driven direction of Tristan Shone apparently still not been able to eliminate the typical color of the Demented Cattle Decapitation. Craze continues through "Clandestine Ways (Krokodil Rot)", drummer David McGraw as crazy guy who really, really mad anyway ! insanely fast drumming and interesting guitar-work. Listen to almost all the material here will indeed be very draining brain is really with any arrangement that has always deviate Big Surprize style and we never thought before it. "Circo Inhumanitas" still beat his epic structure. like being caught up in the great upheavals in the battle Dimensional Memory not find Ending. However having many styles of riff does not instantly make a decent song, band still manage to pull it off without it feeling disjointed. so imagine if almost for 50 minutes that we are constantly treated with Partition music as people who are crazy once with his obsession and imagination. and we Only made of relief goods only briefly aja with Multiple Instruments Track gripping as "The Burden of Seven Billion" and "Ave Exitium". This is the umpteenth time course material Cattle Decapitation's amazing that we can enjoy, even "The Anthropocene Extinction" is a form of madness that we ingest more Great for musicality above its average. Far too many technical bands use sweep picking as a crutch for a lack of creativity and thankfully Cattle Decapitation is not one of Reviews those bands. The musicianship is superb the songs are brutal, well-structured, and surprisingly melodic at times there are no filler tracks and, most importantly, the album is original !!! BUY OR DIE !! !